The Manfrotto 190 Go! is the perfect solution for the professional photographer looking for sturdiness and versatility within a more compact and easily transportable tripod. The legs are combined with the new compact and reliable 804 II 3 way head. 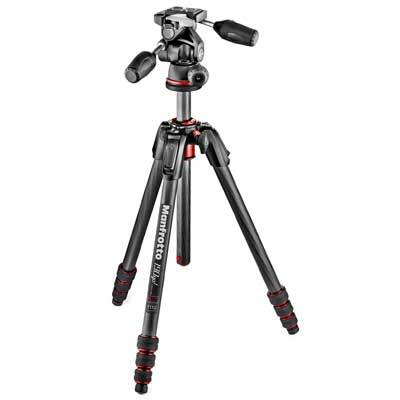 Now with Carbon Fibre legs, the tripod is even lighter and easier for travel. Featuring a 90° column, and 4 leg angles to enable the photographer to get lower to the ground, making it ideal for macro and hard to reach shots. The twist locks on the leg sections make opening and closing the tripod a fast and easy operation, whilst still maintaining optimum sturdiness.